Thrift store shopping can be a fun and very successful way to shop for clothing and many other items. This is a guide about 7 tips for making thrift shopping a breeze. Thrift shopping is one of my favorite ways to save money. Like it or not, we live in a materialistic culture that can be reflected in the stock of any given thrift shop. Every day clothing, furniture, and housewares are donated by those who buy too much for those who can't buy much of anything. As the old saying goes, one person's trash is another person's treasure. The following are some tips to not only make thrift shopping easier and more pleasant, but also help get the most for the least amount of money. Location, location, location: A good rule of thumb is that the thrift shop will reflect the neighborhood that they are near. By knowing the area, you don't have to waste precious time and money during your thrift shopping trip. Generally, thrift shops located near a more affluent neighborhood carry a higher end stock than, say, a shop located in a middle class neighborhood. I would recommend shopping near more affluent neighborhoods. You will spend a little more, but you can still get amazing deals on quality, minimally used goods. The shop I frequent most is located less than a half-mile from a university campus. They usually have a decent selection of books, handbags and clothing. Also keep in mind your transportation needs. You don't want to be stuck walking a mile. Don't be afraid: The very idea of thrift shopping might make one a little nervous. After all these are things others have owned and used before. Don't worry. Clothing can be washed and objects can be cleaned up nicely. It is important to note that there may be a stigma attached to buying second-hand. If you buy wisely, nobody would ever be the wiser. I've gotten more compliments on my second-hand clothing than on the clothing I buy new. The children will also be none the wiser, especially if you don't tell them. Keep an eye out for sales: Yes, thrift shops do have sales. One of my favorite shops features a week long color-code sale every week. For example, one week's sale may be on blue. If you buy something with a blue sticker or hang tag, it's 50% off. The best thing about this sale is that on Saturdays, the items marked with the featured color is 75% off. There are many different sales as there are shops so don't be hesitant to ask a friendly employee about them. Know about how big or small your body actually is: Never rely on the size tag inside a garment. Most shops size with generic small, medium, large, etc. In a lot of cases, clothing has shrunken in the wash, or has been stretched out due to improper handling or wearing in it's former life. The best way to judge size is just to eyeball it. Take your measurements if you need to or take a good objective look at yourself in a full-length mirror. This way you will not only find a really good fit for your body, but you also won't feel like pouting if those great jeans you found that fit like a dream happen to be a size or two larger than you would ordinarily take. Keep an eye out for potential: Many thrift shops have a bewildering array of unusual items. The really pretty dress with the broken zipper may be perfect for an upcoming occasion. If you're handy with a sewing machine, it wouldn't be anything to rip out the broken one and replace the broken one or replace it with another kind of closure to create a one-of-a-kind dress. An old and sturdy dresser that doesn't look the best can be repainted and repurposed to fit your needs. There's inspiration at every turn. Wear the right clothes when you shop: This is the most applicable if you must try on clothes in the store. Might I suggest wearing leggings and a close fitting top? You just never know if the person who donated the garment washed everything before donating. Take a buddy: Thrift shopping is fun when you go alone, but bringing a friend and add a lunch out can make for an amazing outing. I have a friend who works magic in a thrift shop. She managed to only pay about half of what she expected to pay, and I've learned also how to become a better thrift shopper because of what I've learned from shopping with her. 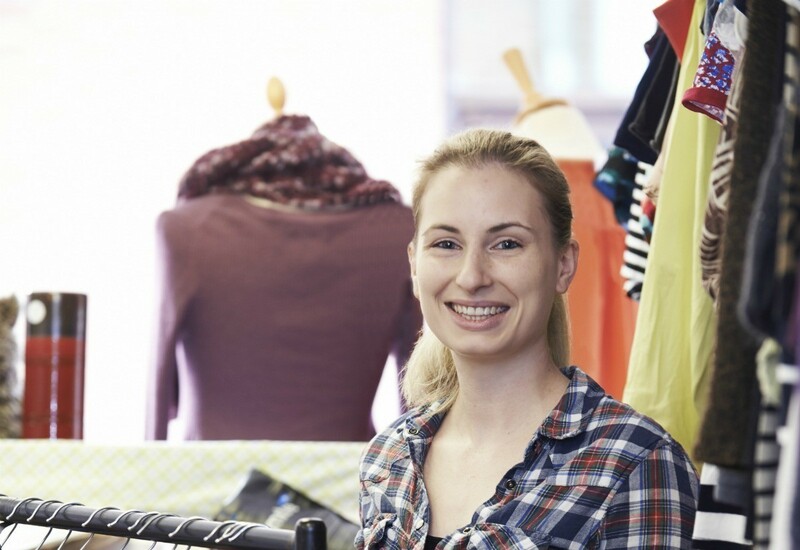 Thrift shopping is one of the more fun ways to save your hard-earned dollars. With the amazing deals you can find and your amazing good taste, you'll end up on top every time. I could not agree more! I live by this philosophy and enjoy life so much more! You are so very right! I was introduced to Thrift and Consignment Stores about a year ago from a new girlfriend who also showed me around yard sales for the first time. Let me just say this; "I WILL NEVER PAY FULL PRICE AGAIN FOR ANYTHING." I wear the latest fashions. I am complimented on my matching apparel all the time. I have now two full closets full. I am addicted to buying new clothes and buying cheap. I always thought that these stores were only for low-income people. The stores I shop in, the proceeds go back into charities for low-income persons. They also have programs for people who need things for their apartments, they can sign up and receive a $100.00 Gift Certificate just by having it signed by a therapist. I went shopping their recently for a homeless woman who had just been accepted into a 1 bedroom apartment. Though she had nothing. I went to my favorite Thrift store. Picked out towels, hand towels and facecloths for her. Asked the manager (after telling her that I was picking them up for a homeless woman) and telling her story. I was just asking for a discount on them and she took them all and put them in a bag and said tell your friend congratulations and come back and see me for her $100.00 gift receipt. This is a wonderful story, that's why I wanted to share it. For those people who are squeamish about buying "dirty" clothing from a thrift store, think about how many people have tried on the garments before you at your favorite retail store. In addition, I heard on the radio that all clothing and linens should be placed in a hot dryer for 20 minutes, regardless of where you bought them, to kill bedbugs. Bedbugs don't discriminate!